"Princess Lira is siren royalty and the most lethal of them all. With the hearts of seventeen princes in her collection, she is revered across the sea. Until a twist of fate forces her to kill one of her own. To punish her daughter, the Sea Queen transforms Lira into the one thing they loathe most—a human. Robbed of her song, Lira has until the winter solstice to deliver Prince Elian’s heart to the Sea Queen or remain a human forever. The ocean is the only place Prince Elian calls home, even though he is heir to the most powerful kingdom in the world. Hunting sirens is more than an unsavory hobby—it’s his calling. When he rescues a drowning woman in the ocean, she’s more than what she appears. She promises to help him find the key to destroying all of sirenkind for good—But can he trust her? And just how many deals will Elian have to barter to eliminate mankind’s greatest enemy?" Sirens!? I'm in! I love how fresh this storyline sounds and I am extremely excited to read this one. Also, that cover is amazing! 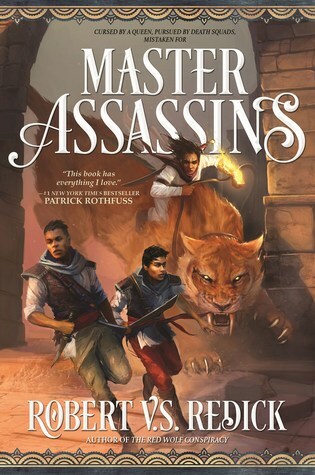 "Two village boys mistaken for assassins become the decisive figures in the battle for a continent in the thrilling new desert-based epic fantasy by the author of The Red Wolf Conspiracy. Kandri Hinjuman was never meant to be a soldier. His brother Mektu was never meant for this world. Rivals since childhood, they are drafted into a horrific war led by a madwoman-Prophet, and survive each day only by hiding their disbelief. Kandri is good at blending in, but Mektu is hopeless: impulsive, erratic—and certain that a demon is stalking him. Is this madness or a second sense? Either way, Kandri knows that Mektu’s antics will land them both in early graves. But all bets are off when the brothers’ simmering feud explodes into violence, and holy blood is spilled. Kandri and Mektu are taken for contract killers and must flee for their lives—to the one place where they can hope to disappear: the sprawling desert known as the Land that Eats Men. In this eerie wilderness, the terrain is as deadly as the monsters, ghouls, and traffickers in human flesh. Here the brothers find strange allies: an aging warlord, a desert nomad searching for her family, a lethal child-soldier still in her teens. They also find themselves in possession of a secret that could bring peace to the continent of Urrath. Or unthinkable carnage. On their heels are the Prophet’s death squads. Ahead lie warring armies, sandstorms, evil spirits and the deeper evil of human greed. But hope beckons as well—if the “Master Assassins” can expose the lie that has made them the world’s most wanted men." 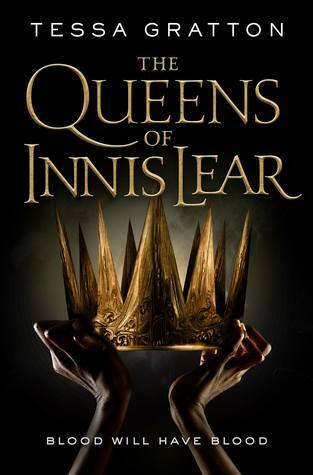 Not only does this sound interesting, but Mark Lawrence also has a review up that sings its praises, and he hasn't steered me wrong yet, so... I'm in! 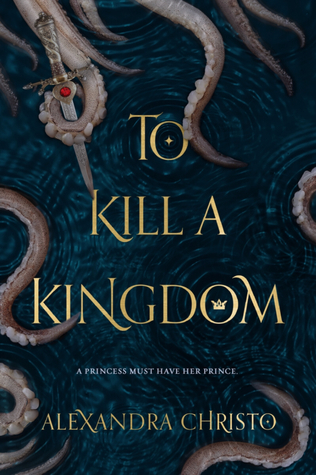 I'm interested in To Kill a Kingdom, because it's kind of a Little Mermaid retelling. To Kill a Kingdom is one I'm definitely interested in. I love that sirens are the focus and that's a loose retelling of the Little Mermaid. To Kill a Kingdom was SO GOOD, Jordan!!! I hope you love it and that it is worth the wait for you! To Kill a Kingdom sounds so intriguing! I don't think I had a chance to read any books about mermaids.